Are you ready for the Olympics to start???? I couldn’t sleep last night because my brain wouldn’t shut off. Among the things I was thinking about was creating indoor Olympic games for my kids. Events include balloon nose races, corn hole toss, creative gymnastics routines and more. Of course, we will also be watching the games as well. I’ve created this medal record sheet to keep track of who wins what medals. I have two different formats available for you: a full sheet (8.5 by 11 inches) and a planner insert (about 9 inches by 6.5 inches). 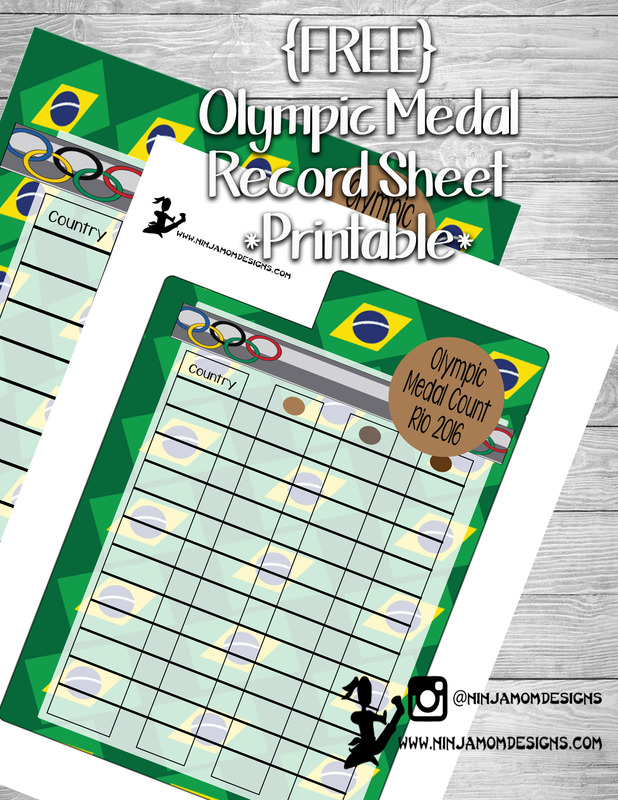 To download and print your medal count FREEBIE, simply click the link below. Be sure to save to your computer so you ALWAYS have it available. I recommend printing the planner insert on cardstock for durability. Clip Art was designed by me and can be found HERE.